This selfless pursuit of truth certainly resonates with the mission and heart of a Notre Dame education, and nowhere is this more evident than through the University Common Read. Established in the 2011-2012 school year, the program provides a unifying platform upon which students, faculty and staff can engage in social and intellectual dialogue and address challenging topics ranging from medical ethics to racism to homelessness. The Common Read Committee is composed of faculty, staff and students whose backgrounds span across different concentrations and departments of the university. Committee members are responsible for reviewing nominations for book titles, reading and discussing possible selections and using specific criteria and departmental feedback to narrow down the final choice. The chosen work is based on a specific criteria including how consistent the work is with the mission of the university; how it raises issues related to gender and global perspectives, how broad enough it is to apply to a wide range of disciplines; how accessible it is to first-year students; how it can relate to activities outside the classroom; and how possible it is for the author to visit campus. The top four picks for the 2018-2019 school year are as follows: One Amazing Thing by Chitra Banerjee Divakaruni; Claire of the Sea Light by Edwidge Danticat; Homegoing by Yaa Gysasi; and Girls Like Us: Fighting for a World Where Girls Are Not for Sale by Rachel Lloyd. Currently, the Common Read Committee is reviewing the results of the community-wide vote to finalize their decision. Next year’s book selection will be announced sometime between March and April. The committee is also in the process of contacting publishers and building relationships with the authors, essentially allowing them to fall in love with the university’s mission. A fund supports the entire Common Read program, which helps to cover the costs of an honorarium, a reception, an author presentation and a book signing. For instance, last year’s selection, The Nightingale by Kristin Hannah, honors the immense heroism and resilience of women in the French Resistance during World War II. Dr. Mouratidis likens the program to a garden: it is intended to create conditions where people can cultivate their minds, but they must grow in their own way on their own terms. Students, faculty and staff are encouraged to not only find their own voice, but to also allow the authors’ words to help challenge assumptions and see the world through different lenses. 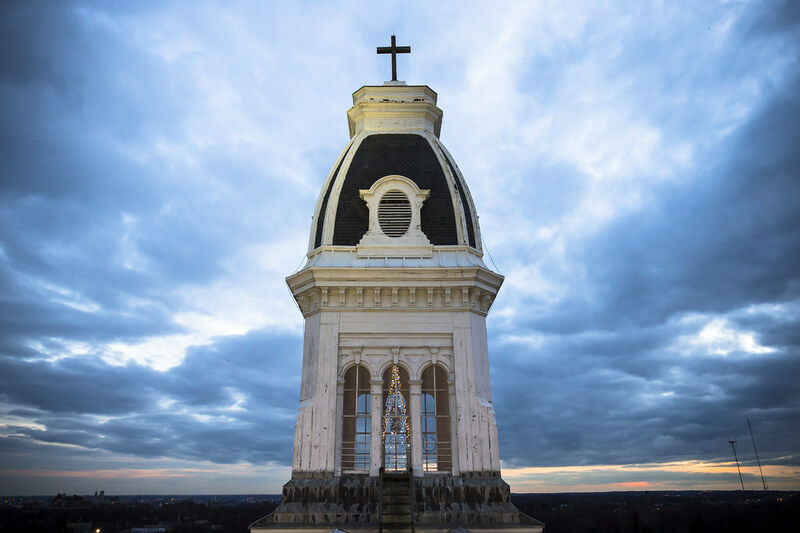 Ideally, the program results in the recognition that we are not limited by what we can do—a vision that is consistent with the liberal arts tradition of intellectual curiosity, social justice, interdisciplinary scholarship and, above all, human freedom.